It’s not clean unless it’s White Glove Clean. As summer has come to a close and fall is in full swing, the colder months bring about a lot of great things, but one not-so sought-after factor that comes along with this time of year is the annual flu and cold season. Naturally, you don’t want to pick up one of these nasty bugs at the office, nor do you want to get them in your house from the kids bringing them home from school. While there aren’t any clear cut ways to avoid these illnesses, an ounce of prevention can often equal a pound of cure. And cleaning and disinfecting is the number one sure-fire method towards preventing these illnesses from getting their grips on you in these colder months in Spokane Valley or anywhere in the country. It’s no secret that the world can be a dirty place, but just using hand sanitizer or avoiding public bathrooms and grimy handrails isn’t enough to protect you from catching the flu or other illnesses. The following are some of the items you touch every day that can spread the most germs, but cleaning them properly will help you avoid getting sick. There is roughly 200 times more bacteria on the average cutting board than on a toilet seat. Make sure you are cleaning yours before and after every use. The biggest germ spreader in the home — a kitchen dishcloth on average contains about 10 million bacteria per square inch. Change your cloth out as frequently as possible to avoid germs. Damp towels left in warm bathrooms are a breeding ground for germs. Drying off can transfer thrush and skin cells to the towel, which provide bacteria with food to grow and multiply. Possibly the dirtiest area in the home, there are typically 600,000 bacteria per square inch in the kitchen sink’s drain alone. The average toothbrush is home to more than 100 million bacteria. Toothbrushes stored near toilets can contain dangerous germs as microorganisms are ejected into the air when you flush. Anywhere that you spend time for eight or more hours a day is going to collect germs, and your desk is no exception. Think about how often you (or a nearby coworker) sneezes and coughs throughout an average workday. If you aren’t regularly cleaning your workspace, the germs can begin to add up quickly. Office light switches can be touched by thousands of dirty fingers over the years, as many cleaning services don’t disinfect these areas. This leaves most light switches with roughly 217 bacteria per square inch. Eating lunch at your desk is a bad idea as crumbs of food that get into your keyboard can become a breeding ground for germs. To be safe, give your keyboard a wipedown with a disinfectant wipe on a regular basis and a moisture-free duster for getting all those dust and bacteria particles out from between the keys. Your office telephone is an item that rarely gets disinfected, which can make it one of the single dirtiest areas and biggest risks for illness in your workplace. Those buttons you push everyday can harbor a multitude of germs, which you then proceed to eat, or allow to touch your face, mouth, and eyes thereafter. This makes the office phone one of the leading causes of work-borne illnesses. 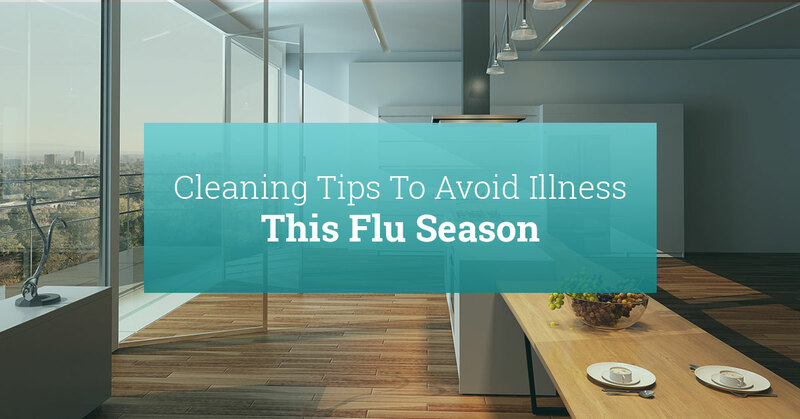 While there are plenty of preventative measures you can abide by in order to reduce your risk of coming down with an illness this upcoming flu season, the most assured way to keep your space clean, whether at home or in the office, is to bring in professional cleaning services that will routinely disinfect these commonly germ-infested areas and much more. If you’re interested in getting the Top Rated Local® Cleaning Services for your home or office in the Spokane Valley, give White Glove a call today.